Give your rear a new aggressive, yet stylish new look with an OEM Style Trunk Spoiler! 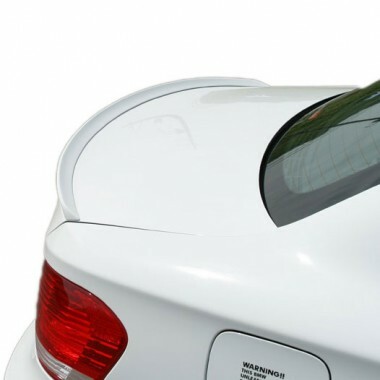 Give the rear end of your BMW E82 1-Series a personal touch of style with BMW E82 1 Series OEM Style Spoiler . This minor addition adds a stunning accent to your rear's appearance, giving it an aggressive, yet stylish look. The spoiler is constructed using light weight, high quality polyurethane material. This spoiler is very resistant and designed to last the life that of your vehicle. Improve appearance and fully customize your E82 1-Series Rear End today with an OEM Style Trunk Spoiler from Modbargains!